Horse and Pony Book talks about great tips on riding. And it has breeds of horse and ponies. The book also tells you about shows (I am happy my 1st show is next week) and the different kinds of shows. I love this book a lot! 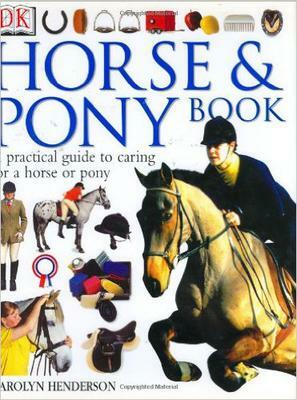 The most practical illustrated guide for all horse and pony lovers. The DK Horse and Pony Book is a beautifully illustrated practical guide for young horse and pony lovers everywhere. Expert advice on horse and ponies -- from identifying breeds to grooming, veterinary care, and riding techniques. Suitable for both novice and experienced riders. Encourages young enthusiasts to learn more about riding and caring for a horse or pony.